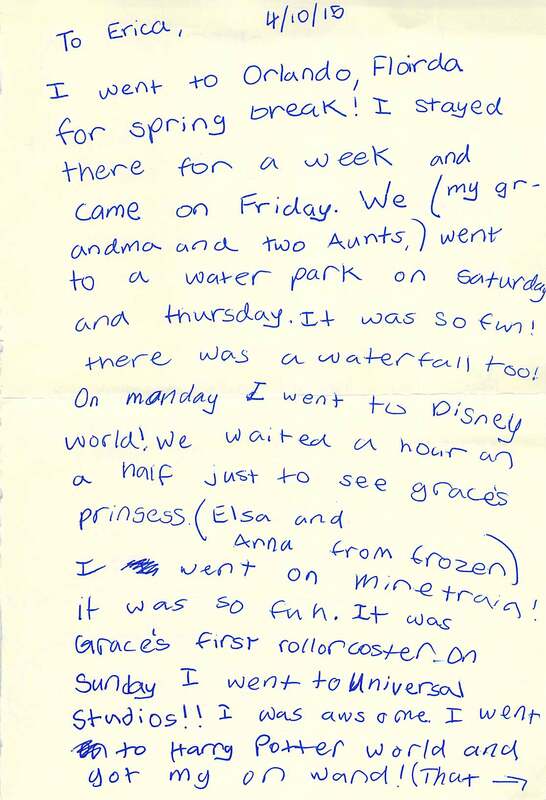 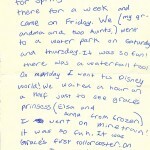 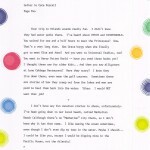 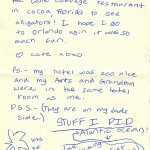 Cate Ferrall, who’s 9 now, has become a really good penpal. 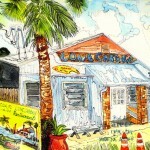 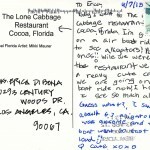 She likes postcards — witness this one she sent from The Lone Cabbage Restaurant in Cocoa, Florida… and she decorates her letters with charming hand-drawn descriptions of her happy moments. 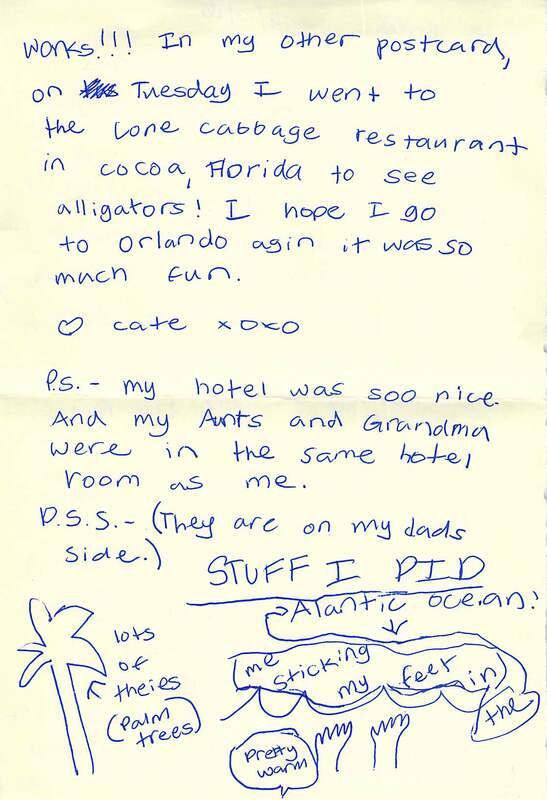 Here she shows “me sticking my feet in the” “Atlantic” — and a few palm trees. 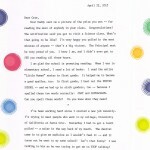 I wrote her back a typed letter tonight but mine definitely lacks the charm that her missives have.